Gardening season is in full swing where I live. That means many hours spent outside ripping out weeds, amending soil, and furrowing rows to begin the many months process of bringing a seed to fruition whether that be a yummy vegetable or a lovely flower. Each tiny seed that goes into the ground is like a small gift waiting to be unravelled in due time, given that it is surrounded by the things that will make it flourish. Like those that go into the garden, the seeds of faith that drop into our hearts throughout the day, by the hand of God, are His little gifts to us which will only be revealed as such when the “soil” they fall upon is suitable and well-cultivated. He brings them into our lives when we witness the majesty of mountain, hear the words of a stirring sermon, survive a near-death experience, touch the face of a newborn child, find the right words in a difficult conversation, view the beauty of an intricately carved statue that reveals well the human form, or find a moment of quiet in an otherwise hectic day. 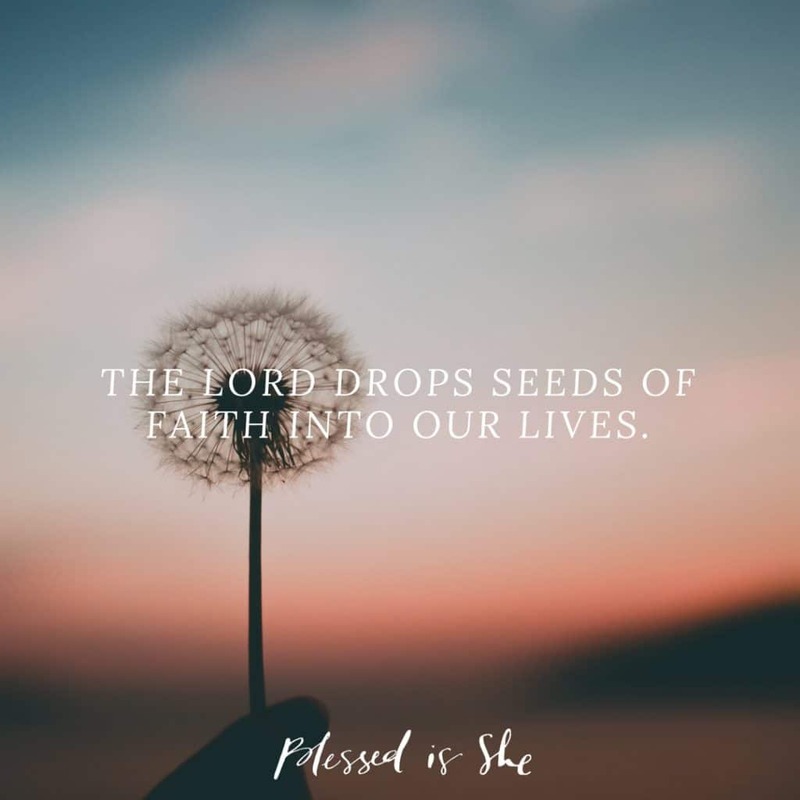 All of these things and more are the seeds that have the potential to burst forth into a garden of thriving faith in our hearts when the place they fall is fertile. These instances are alike to the parables in today’s Gospel that Jesus says some “look but they do not see and hear but do not listen or understand.“ (Matthew 13:13) Their hearts are closed to the message; their hearts are closed to the gifts. They find themselves unreceptive and cannot be moved by that which would move them. Sisters, we must foster fertility in our hearts so that we will be receptive to God’s gifts of faith when they come. Some excellent ways: spending time in Eucharistic Adoration, meditating our way through the decades of the Rosary, availing ourselves of the Sacraments frequently, offering our days to His Sacred Heart, or simply finding a few moments for conversation with God. Do you have the eyes and ears of faith to hear and see what God is revealing to you every day? Hello there! I absolutely love this page and getting the scriptures and devotions in my email every morning. However, some days I am not able to get to them and the next day, or I like to go back and read a scripture that really spoke to me and I go to read them and the scriptures are missing. How come they disappear after one day? Not a big deal but just was wondering. Thank you for this wonderful page! Hi Kelly! Due to copyright, we cannot keep the scripture readings on our site after the day has passed. We always have the current day’s readings in the devotion, though! 🙂 You can find all of the readings any time at USCCB. Thank you for reading BIS! !